If you want to know more about one of the largest snakes in the world, look at the boa constrictor facts. The size for this animal can be compared to other large snakes such as Anaconda and reticulated python. 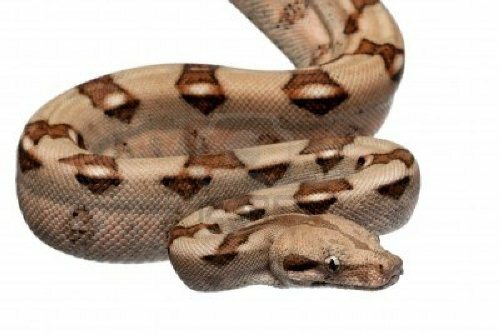 You need to know that boas are deadly animal even though the snakes are not poisonous. You should be careful with this snake if you face it in the forest. It can surprise you in the dark. The animal will make you unable to breathe because the coil on the prey’s body. Let me show you several facts about boa constrictor. 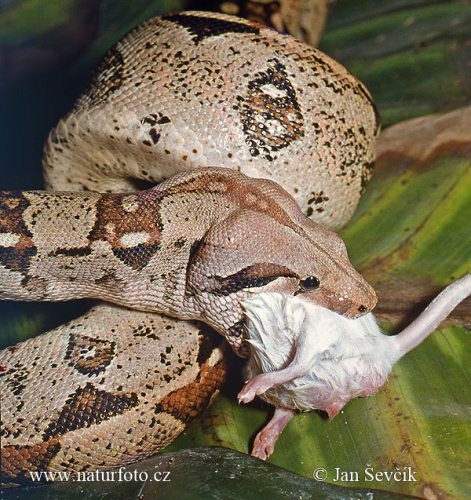 There are foods that boa constrictor like to eat. Some of them include pigs, monkey, deer, small mammal, frogs, lizard and birds. Look at iguana facts to get more info about it. Boas are not included as Pit Vipers. However, some of them can hunt better in the dark. On the mouth they have sensitive five scales which can decide the location of prey in the dark areas. Many boa constrictors live on the trees and on the ground. They like living in tropical area because the temperature is hot. 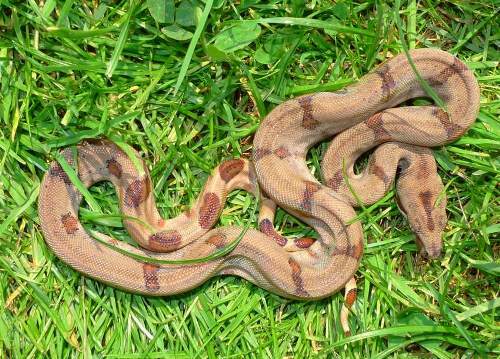 The baby boas will be grown inside the stomach of their boa mother. When the mother gives birth, baby boa’s constrictor is ready to live on their own. They already know on how to hunt food and protect themselves from predators and other animals. Many people find out that boa constrictor is beautiful. You need to scrutinize the colorful look on the skin. Thus, many boa constrictors are hunted by people to get their skin. The average weight of boa constrictors is around 60 pounds. However, some of them can reach the weight more than 100 pounds. It is considered as a unique fact for me. In some parts of South America, the native people keep boa constrictor at home. It is can be used to control vermin. Boa contractors can live in the world from the age 20 to 30 years. When it comes the mating season, there are a group of male boas which compete to get the interest of female boa. The female will take the full decision on the male boa that she will mate. Check reptile facts to know about other snakes. If you look at the mouth of boa constrictor, you can see jaws with hooked teeth. The teeth are helpful to catch the prey and trap prey inside their mouth. 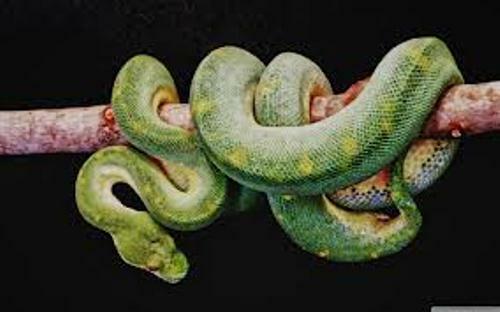 Boa constrictors are considered as lethal animal that can make people dead. They go for hunting to get food. If they see a group of people, boa constrictors will leave you alone. However, they will attack you if boa constrictors are provoked. 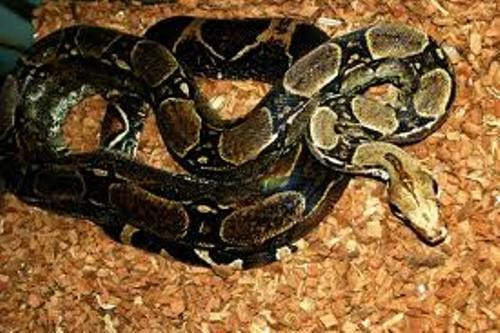 Are you interested to find more facts about boa constrictor?